Imagine walking into a pharmacy and buying every single medication and supplement that was lining their shelves in an expensive, but hopeful attempt to cure a bothersome symptom. Sounds like a strange way to spend a Saturday night, doesn’t it? Most of us would head over to our friendly family doctor or even the walk-in clinic and get a diagnosis from a trained professional before buying remedies. Then we can walk into that same pharmacy, prescription in hand, and head straight over to the exact thing that is going to solve our problem. But when it comes to our businesses we often attempt the “trying everything model” without first taking the time to diagnose what the real problem is. And the reason we do these random acts of marketing, is very much the same as why we might try multiple remedies – we don’t know the root cause of why the marketing isn’t working. Your marketing system is one of the most important parts of your business. It’s what brings in new leads and customers and without it – your business isn’t going to last very long. But where do you start when you feel like you’ve tried everything or you’re overwhelmed with all the possibilities? You start with the data. Your marketing data is like a GPS, showing you the way. It can show you which strategies have been working, what tactics are wasting your time and what needs a few more tweaks or focused effort to really bring home the sales. And without that feedback to guide your next plans, all you’re working with is assumptions. With the basics: reach, visits/traffic, leads, customers. Reach is the amount of people you can get in front of with any particular marketing campaign or message. You could also count paid reach in this category but we’re going simple for today. To measure Reach, record all your social media follower counts as well as your email list size. You’ll also want to include anywhere that you have an earned presence where you can reach people, places like Medium, Crowdcast, YouTube or Podcast subscribers. Each month, you’ll be able to see the month over month growth in each of these channels and also how your overall reach is growing. This will give you direction about where to put your efforts, what channels you want to target for improvement or what channels aren’t the best use of your time right now. With Reach we’re talking about places off of your site, that’s the top most portion of the digital marketing funnel, if you want to get fancy. With visits (or traffic) we’re taking one step closer to a sale by tracking how that reach translates into actual eyeballs on your website. For traffic numbers, you’ll find it all in Google Analytics under Acquisition > All Traffic > Channels and make sure to adjust your date range appropriately. The main channels you’ll want to track each month are Direct Traffic, Email, Organic Search, Referrals, and Social Media. Each month, you’ll see how each traffic channel changes, which are growing fastest, which need more attention to reach your goals and if you dig a little deeper, the numbers will tell you even more. You may notice that certain traffic channels take very little time but bring in big numbers (search can often do this if you’ve been blogging consistently) while other channels that take huge time (social anyone!) might bring in less traffic. That’s not to say you should throw out the traffic sources that require more effort but you should follow those visitors down the funnel to see how your strategy is impacting your email list and sales. If you spend hours upon hours on a channel and it’s not translating into revenue in your business – it’s definitely time to adjust! As with any metrics, the numbers require interpretation and a deeper dive to be truly helpful – don’t just stop at the data collection, ask yourself, what are these numbers telling me about my current marketing efforts? Getting ever closer to that sale, Leads are the next step in your sales and marketing funnel. Once someone has been made aware of you (Reach), found their way to your site (Visits) and loved what they’ve seen, the next step is for them to join your email list and become a lead. 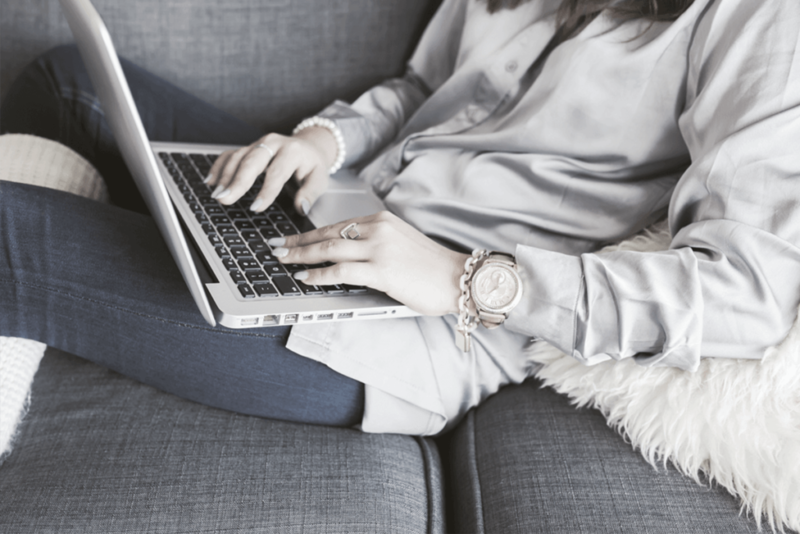 Lead data allows you to see which traffic sources convert best into email subscribers, very valuable information when you’re planning your next marketing campaign! You can also go even further to look at each social network individually (does Facebook convert traffic better than Pinterest, etc.) or each referral source (do certain guest posts and interviews lead to higher conversions than others). A visit-to-lead conversion rate of 1-3% is average so don’t be shocked if yours hanging out down there too. Use the data you collect to go big on traffic sources that convert well and also design your website to convert traffic at a higher rate. Hanging out at the bottom of your marketing funnel is your customer data. This number of is where the rubber meets the road. You can have all the traffic in the world but if you don’t have sales, you’re popular, not profitable. Depending on how you collect payment for your products or services will depend on how you set up your sales goals in Google Analytics or whether it’s tracked elsewhere. If you’re tracking sales in Google Analytics through goals or the ecommerce reports, you’ll be able to see how each of your traffic sources turn into customers – very invaluable information! If you’ve been stuck in “list building mode” and haven’t been seeing the sales you want, then pouring over your customer data can help you see where the problems are – and therefore where to start addressing issues. Are you building your list full of the wrong people who were never going to buy anyway? Does your email marketing or content need a better strategy to start making sales? Creating a simple to implement, measurement routine for your marketing doesn’t have to be overwhelming. Pick your date, first Tuesday of every month, doesn’t matter, just make yourself a recurring appointment to check in with your biz! Bookmark this post to check back each month during your review so you’re not just writing the numbers down but actually interpreting what they mean as well. 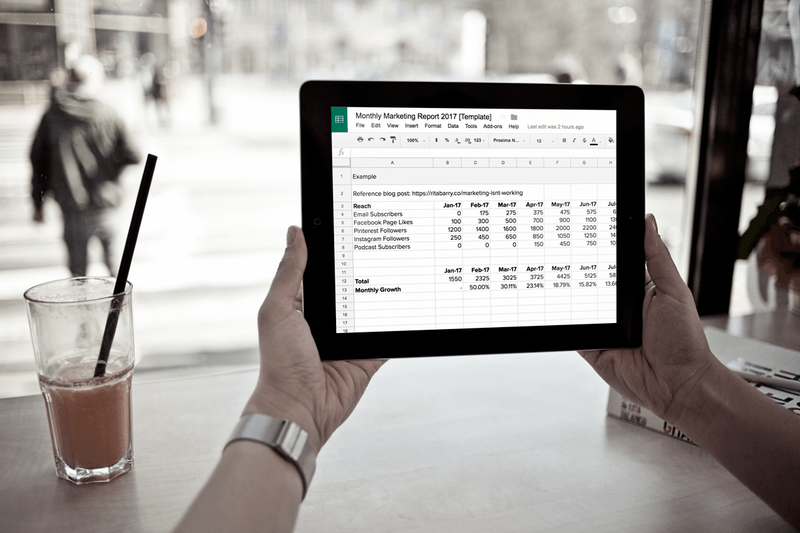 Download the simple Marketing Metrics Spreadsheet for a shortcut!